The trail from Mineral King starts out climbing steeply. We got a reasonably early start, which was a good thing because climbing later in the day would have been quite hot. 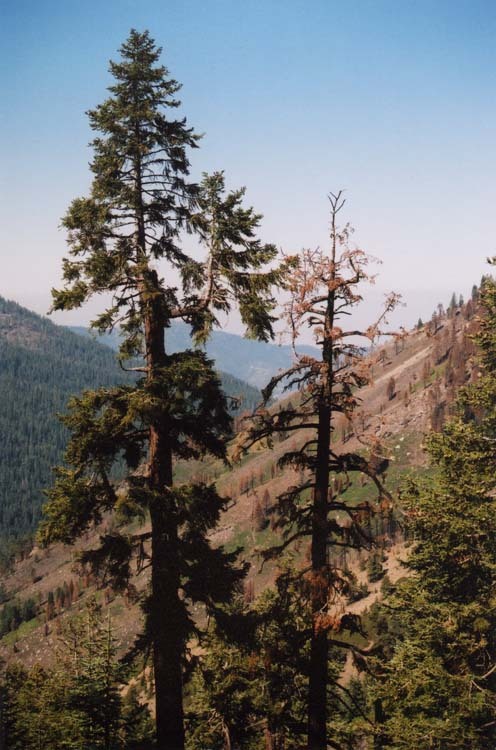 The picture shows a live tree and a dead tree on the way up to Timber Gap.